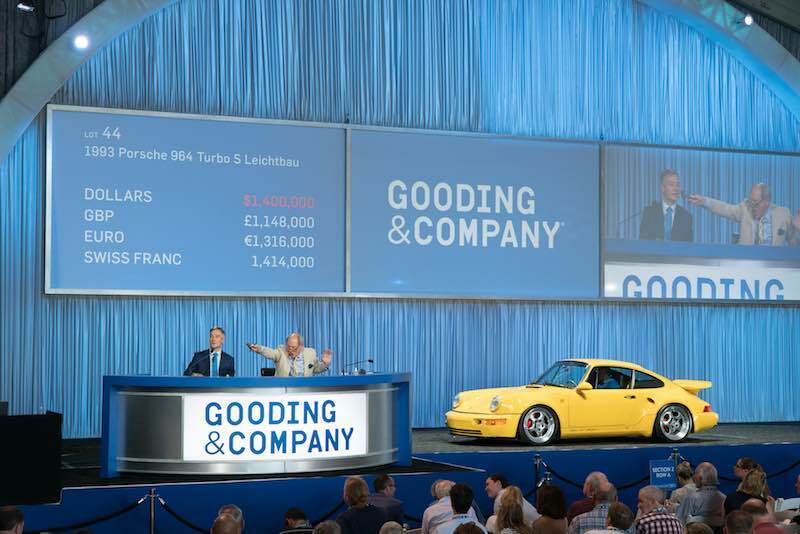 The Gooding and Company Amelia Island 2017 auction was held Friday, March 10 at the Omni Amelia Island Plantation Resort in Florida, resulting in $30,568,700 in total sales and a 78 percent sell-through rate. 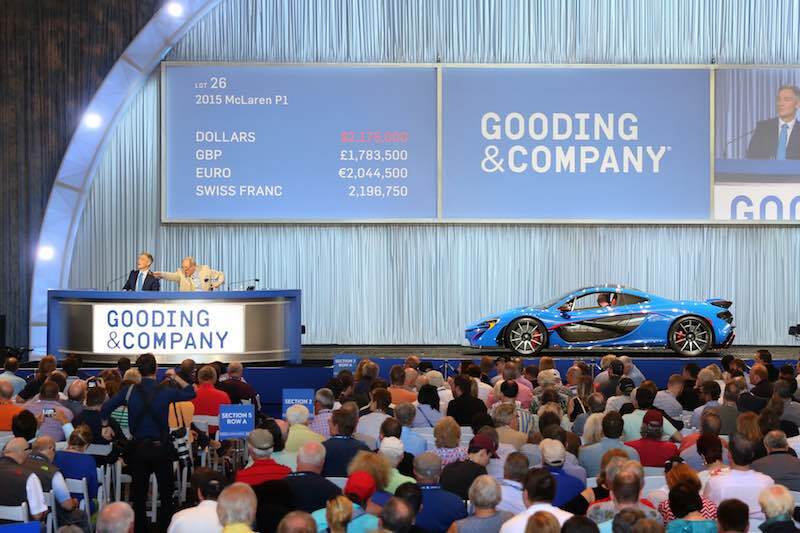 Gooding’s 8th annual sale held during the Amelia Island Concours d’Elegance weekend featured 88 cars. 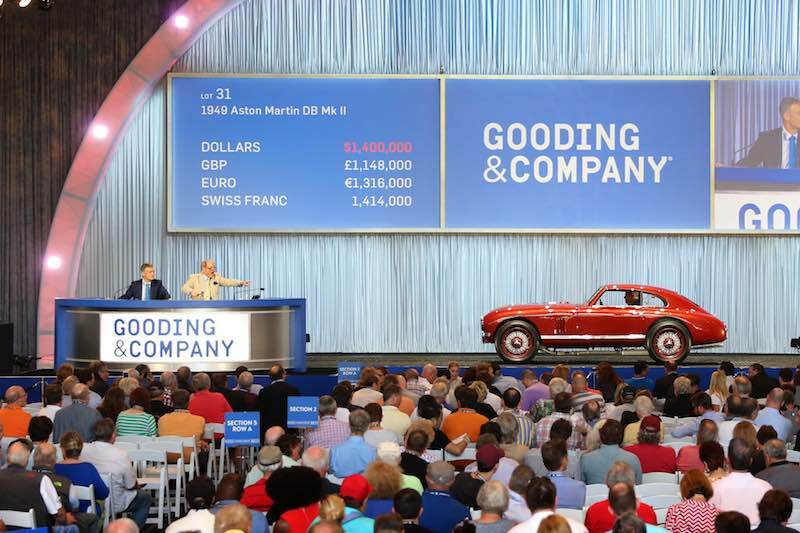 With an $443,025 average price per car, a total of nine cars sold over the $1 million mark at Gooding’s 2017 Amelia Island auction. The top result went to the 1998 Porsche 911 GT1 Strassenversion that sold for $5,665,000, a new record price for the model and for the Porsche 911. Thirteen new benchmarks were set across Porsche, McLaren, Aston Martin and Mazda. Additional highlights included the 2015 McLaren P1 sold for $2,392,500, the 1989 Mazda 767B sold for $1,750,000 that raced at the 1989 24 Hours of Le Mans and the 1949 Aston Martin DB Mk II sold for $1,540,000 that was formerly owned by company head David Brown. Gooding & Company’s next sale, the Pebble Beach Auctions, will take place on August 19-20, 2017, at the Pebble Beach Equestrian Center. Last year’s Pebble Beach sale broke several auction records with a total of 115 cars fetching over $129 million in overall sales. For more information, visit Goodingco.com.